To secure your Wedding Cake, a 50% non-refundable deposit is required. Dates will not be held until the deposit is paid. The remaining cost of the wedding cake is due 14 days prior to the Wedding Date. No Wedding cake date will be secure until the deposit is paid. Refunds are not provided for any reason. This is due to our full schedule and our attention to detail. We spend many hours planning and preparing before even beginning on a cake. The Topiary Cake Design accepts your booking on the basis that you have read and accepted the above conditions. Our buttercream cakes are $7.00 per slice and fondant are $8.00 per slice. Additional costs will incur with difficult piped designs or gold/silver meltalic color. Although this is our pricing, we would love to try to work within your budget. There is a $200 minimum for all wedding cake orders. One of the most critical parts of the whole process! We want to make sure your cake gets there safely! It is $0.75/per mile roundtrip. The distance will be determined by the shortest distance calculated by Google Maps. Good news! You need rentals? We have you covered. We have a few cake and cupcake stands and cake cutting silverware that can be rented for a small fee. A deposit will required prior to the wedding. You are responsible for getting rentals back to us! 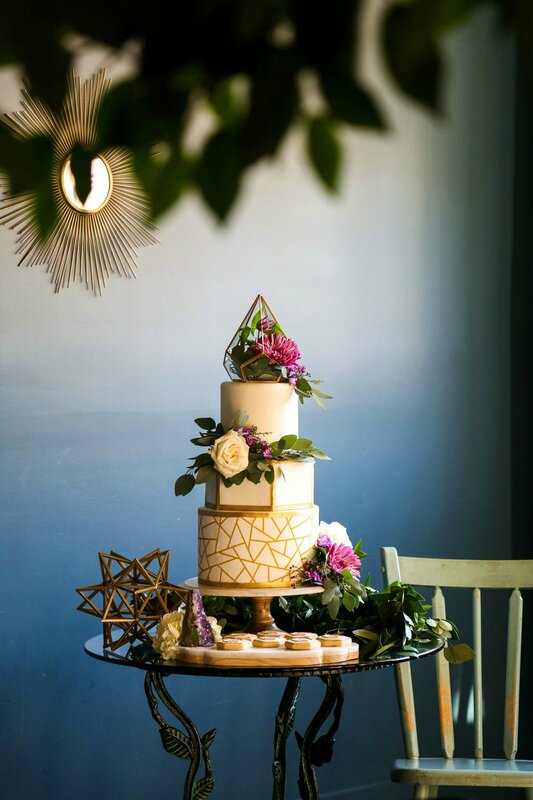 If you or another vendor is supplying your cake stand, please give us a description so we can make sure it works with your cake!